A unique study-abroad summer program in Amsterdam. Open to all majors. July 1-22, 2018. 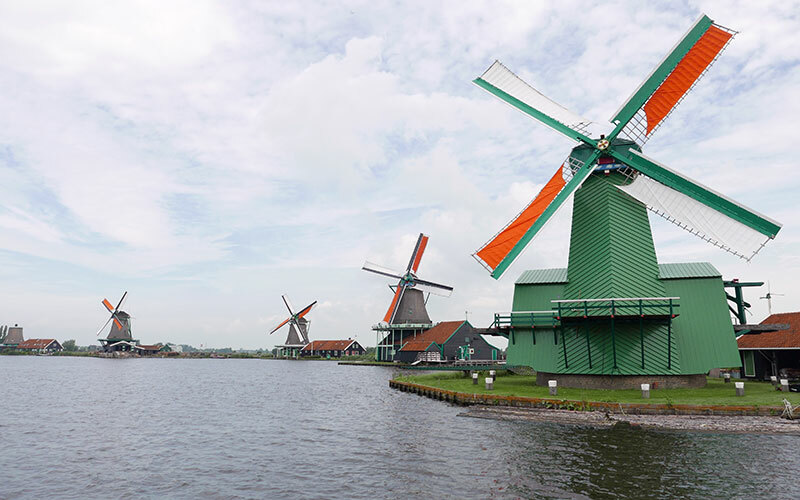 This three-week study-abroad program focuses on exploring Dutch design and culture. From street art & posters to wayfinding systems and signage, The Netherlands embraces design as a part of everyday life. This course will explore Dutch art and design, using Amsterdam as an urban laboratory in examining form and aesthetic in context with philosophical ideologies, social and intellectual values, and achievements in the arts. 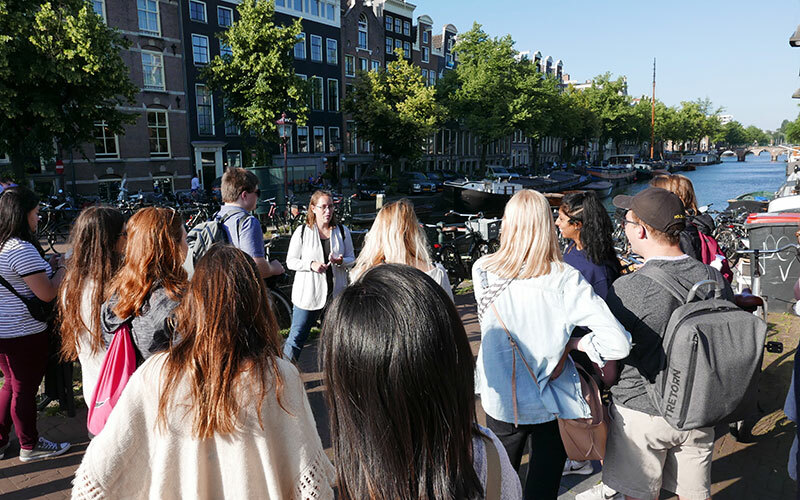 The course will study design application history by exploring world-renowned museums and institutions, discovering street graphics in Amsterdam, and visiting several Dutch design firms. A day trip will also feature an experience in Rotterdam, a city filled with modern architecture and design. One hundred sixty-five canals give Amsterdam its unique charm. The Dutch capital is full of life, day and night, with world-renowned museums, art galleries, music clubs, and theaters. It is a truly international and multicultural city; with 180 different nationalities represented, Amsterdam boasts one of the most diverse populations in the world. Locals are easy-going and welcoming to foreigners, and English is the unofficial second language. 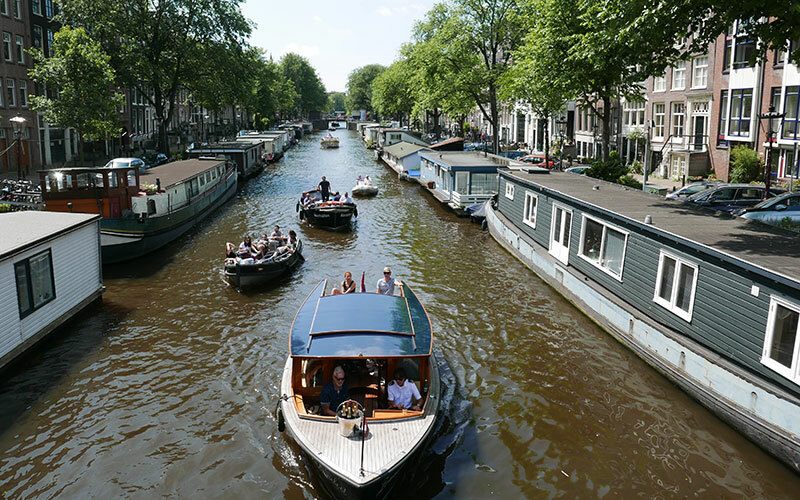 With over 830,000 inhabitants, Amsterdam offers the advantages of a cosmopolitan center with a small-town feel. Because the city is so compact, it’s easily navigable via foot or bike.